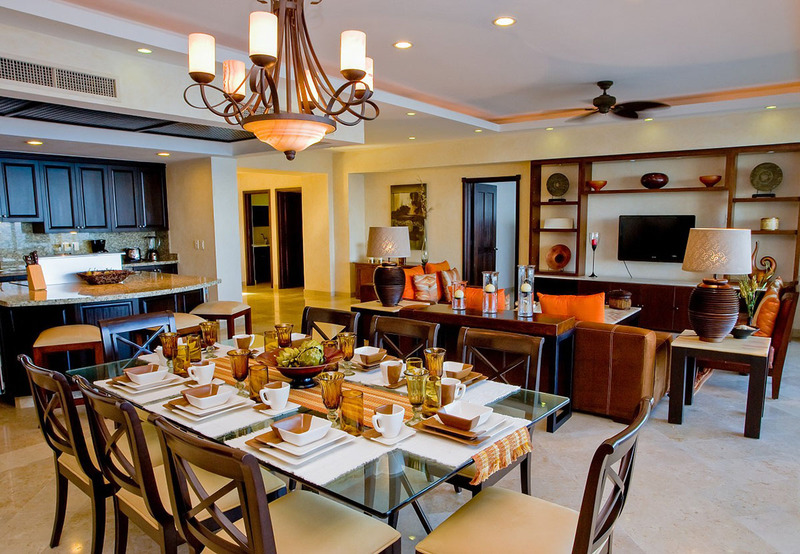 Looking to invest in quality Mexican real estate that will stand the test of time? 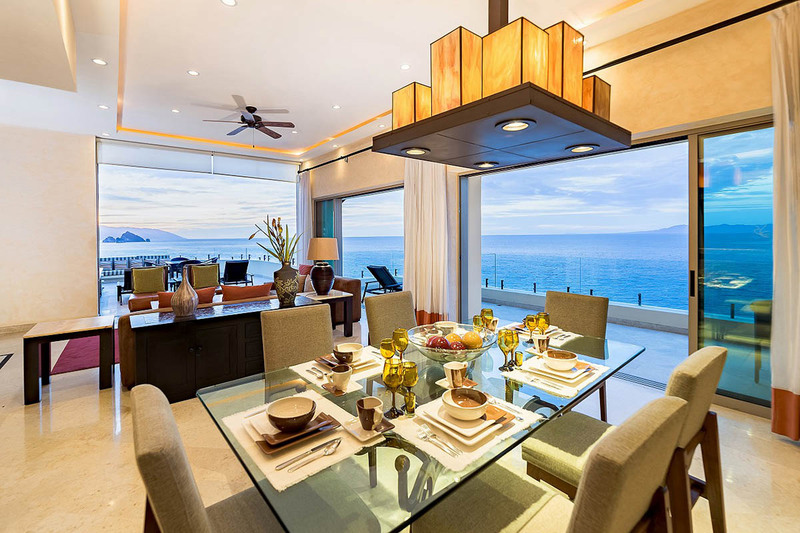 Garza Blanca’s luxurious beachfront residences in beautiful Puerto Vallarta that offer an incredible blend of high quality and fine finishes that will impress even the most meticulous homeowners. New construction is currently underway in Cabo San Lucas as well to extend the Garza Blanca real estate portfolio to the Baja California region as well. With solid amapas hardwood finishes, modern decor and an incredible location, Garza Blanca’s residences deliver on beauty and value. Read below to learn more about the spectacular Oceanfront Penthouse that we are highlighting this week. The moment you step into the oceanfront penthouse at Garza Blanca, your eyes will immediately be drawn to the incredible ocean and jungle views you can enjoy from your private balconies and terraces. The wraparound terrace with oversized hammock offers an ideal spot to relax for a soothing afternoon siesta or to read a book on a balmy Puerto Vallarta evening. You will never tire of the blue-green Banderas Bay views, especially when they are cradled by the lush greenery of the Sierra Madre mountains. Garza Blanca real estate and private beachfront residences are ideally situated amongst the natural beauty of the area that cannot be duplicated in another location. Back inside, the Garza Blanca Oceanfront penthouse shines with 10 foot ceilings that create an exhilarating sense of grandeur throughout the entire home. The real show stopper is the full service kitchen complete with a granite topped center island that is perfect for entertaining. The chef in the family will be thrilled with the double-door 24 cubic foot stainless steel refrigerator with a purified water and ice dispenser, high end electric stove, oven, dishwasher and wine cooler. With ample dining space, it will be easy to have a family dinner or friends over with an open floor plan that flows from one space to another. Cooking and enjoying meals will never be better in this incredibly spacious and peaceful home. The Garza Blanca Oceanfront penthouse has room to spare with 2 different floor plans available that average around 3650 square feet of living space. There are 3 full bedrooms that come with en suite bathrooms, and an extra bathroom off the living area is perfect for visitors. King sized beds, flat screen TV’s, ceiling fans, air conditioning and luxury-count linens are found in each bedroom so that everyone can enjoy comfort and luxury at its finest. Walk-in closets ensure that there is plenty of room for all your clothes, shoes and bags in the latest styles. 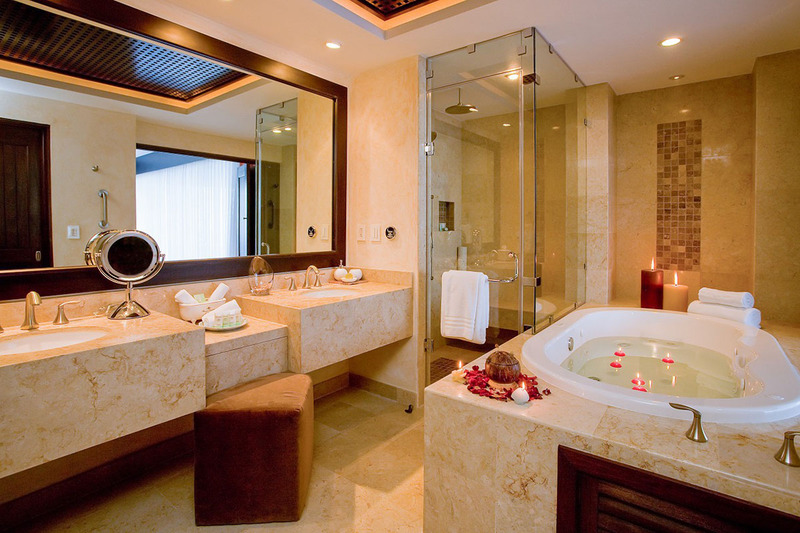 The generously oversized bathrooms come with dual vanities so everyone can have their own space to enjoy the experience of getting ready surrounded by opulence. Ready to invest in your future and only the best will do? 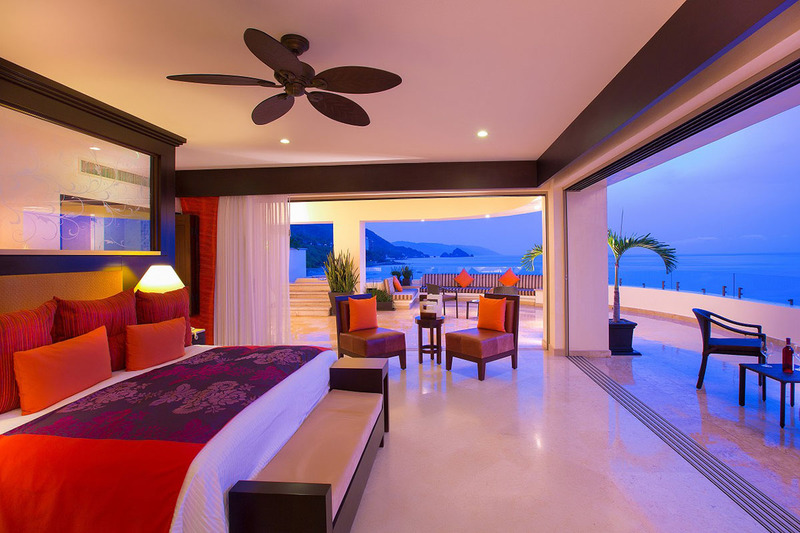 Look no further than the Oceanfront Penthouse at Garza Blanca. High class beauty, quality construction and elegance has never looked better.